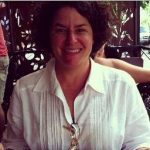 Home › Blog Topics › Advocacy/Leadership › The Time for Advocacy Is Now: Why Telling Your Story Is So Important. The Time for Advocacy Is Now: Why Telling Your Story Is So Important. Having been a lifelong reader and library user, I had all sorts of assumptions about school libraries in general. First, I thought that stakeholders would instinctively know the value of an effective school library. Secondly, I had always been under the impression that school libraries in general were adequately funded and that budgets were never in question. Third, I never thought I would see the day that school libraries would be considered dispensable. Boy, was I wrong. I recently visited another neighboring county that had 5 school libraries, and only 1 staffed by a credentialed school librarian. The other 4 were staffed with technology facilitators. 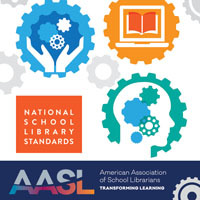 What has happened in the situations above is that the decision makers did not inherently see the value of school libraries, so they were able to systematically defund and/or deconstruct these programs in such a way that school libraries in these areas will eventually cease to exist. The articles and situations above aren’t isolated. In fact, school libraries are in peril in districts all across this nation. Does this shock you? Well, it should. I don’t mean to spread doom and gloom, but the time to advocate for your school library is now….and tomorrow, and the next day, and so on. No one knows your school library better than you, so you are the perfect person to tell your story. If you don’t advocate for your program, chances are no one else will. Involve – Form an advocacy team to help you develop an action plan. Teach – Teach your team how to easily and effectively deliver a simple, compelling, and convincing message. Learn about elevator speeches here. Inform – Use your creativity to design bookmarks, stickers, cards, and other items to share your school library message. Illustrate – Design a badge or button for stakeholders to wear that shares your message. Create social media banners and/or screensavers that highlight your school library. Encourage – Challenge staff and stakeholders to share your message. Enlist – Get staff and stakeholders to help nurture relationships with community partners, district administrators, and other schools. Listen – Encourage stakeholders to share their stories. Use these stories to communicate to decision makers at strategic times. Brainstorm – Constantly brainstorm new ways to offer innovative programming. Be positive and offer solutions to problems. Finally, be creative with funding and spending. 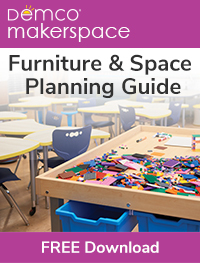 Welcome – Is your school library a space that is clean, uncluttered, welcoming, and helpful? See how to freshen up your library on a budget here. Thank, thank, thank! – Acknowledge those that help you….over and over again. Showing appreciation helps motivate your stakeholders to continue sharing your message. Finally, advocacy isn’t just a one time thing…it’s an ongoing process. Students, teachers, and admins are constantly changing, therefore it’s important to stay positive and share your message so everyone knows how important and indispensable school libraries are. Do you have other ideas for advocacy? If so, share in the comments below. MacMillan, Kate. 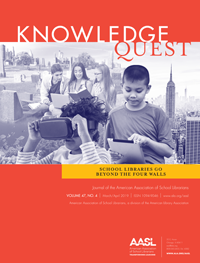 “Revisiting Collection Development in a Digital Age.” Knowledge Quest, 9 Nov. 2018, knowledgequest.aasl.org/revisiting-collection-development-in-a-digital-age/. Post Letters Email the author Published 12:00 am Monday, May 14, 2018. “Letter: Save Our School Libraries.” Salisbury Post, 14 May 2018, m.salisburypost.com/2018/05/14/letter-save-our-school-libraries/. Rowe, Adam. “U.S. Public Schools Have Lost Nearly 20% Of Their Librarians Since 2000.” Forbes, Forbes Magazine, 23 May 2018, www.forbes.com/sites/adamrowe1/2018/05/21/u-s-public-schools-have-lost-20-of-their-librarians-since-2000/?fbclid=IwAR2gSOEzfEK9cWAIQMblPPnijY7Rr9SqPJ9tYfAZaBl5nm42wuIEVT6RJg8#1c7d30315ce5.